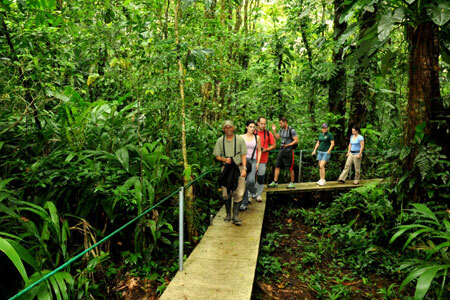 This comprehensive Honduras itinerary takes in the main highlights of Honduras and such as the exquisite carvings at Copan Archaeology site, the cultural highlights of Copan Ruinas village, community and surrounding valley, Pico Bonito National Park with its diversity of wildlife and an opportunity to relax, snorkel, dive on the scenic island of Roatan. 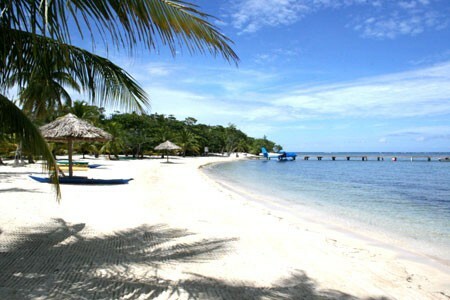 Day 7/8: Free days for relaxing, snorkeling, diving, fishing and cultural tours. Day 9: Flight to La Ceiba and on to international airport for departure. 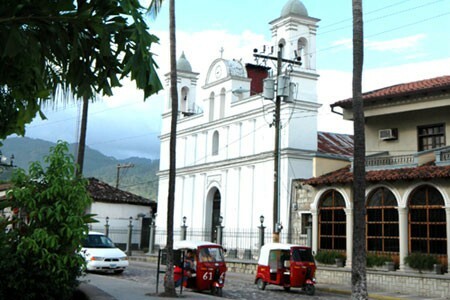 Arrive into Tegucigalpa and add on some days to explore Honduras “off the beaten path” – Comayagua, Gracias. 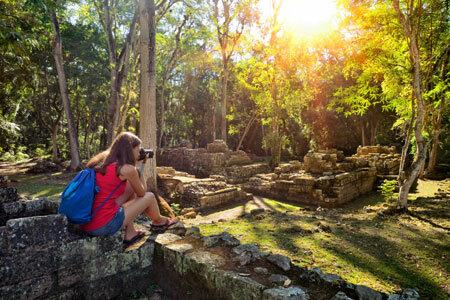 Consider a 2 country itinerary with Belize – direct flights – or Guatemala – easy land transfer. 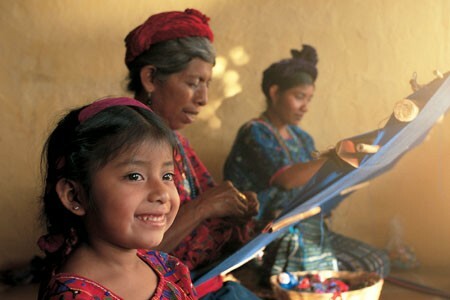 A UNESCO World Heritage Site since 1980, Copán was one of the ancient Maya’s most lavish cultural centers. It’s less grandiose than it is a detailed work of art and is particularly well known for its beautifully carved stelae (stone monuments). 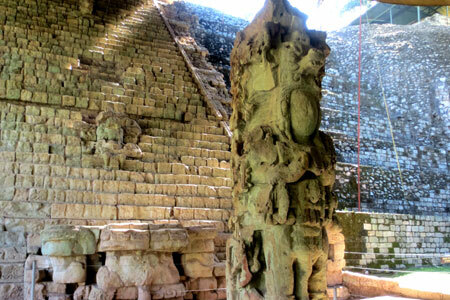 For the best experience, tour Copán with an experienced guide (or better yet, an archaeologist) who can bring the ruin s to life. 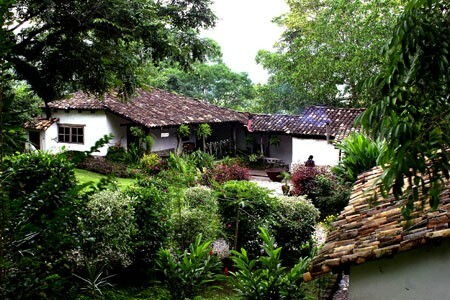 The site is located just 60 kilometers (37 miles) east of the Guatemalan border and sits in a pristine river valley near the town of Copán Ruínas. Here, you’ll find cobblestone streets, a picturesque plaza, and a smattering of good hotels and re staurants. 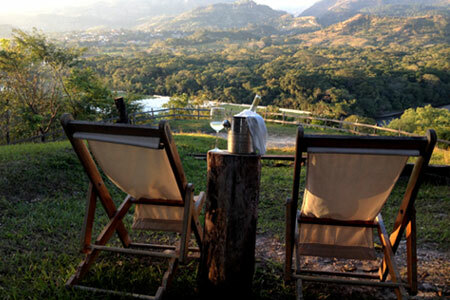 Not far from town, you can also visit coffee and cardamom farms, as well as the Macaw Mountain Bird Reserve & Nature Park. Pico Bonito / La Ceiba Area Pico Bonito National Park isn’t just remote–it’s largely unexplored. 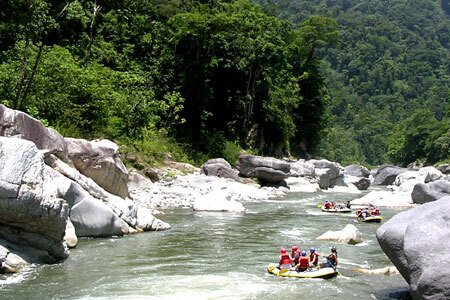 Located in northern Honduras, near the Caribbean city of La Ceiba, it’s one of the country’s largest parks and is named for the 2,435-meter (7,989 foot) mountain that dominates its sky. 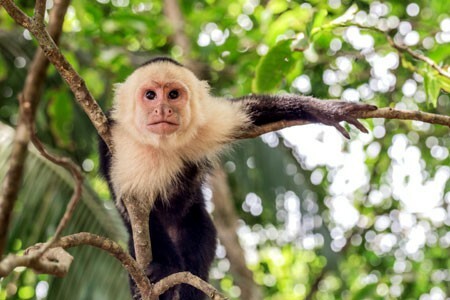 Rugged and isolated, Pico Bonito is home to cloud forests, dense jungles, dry lowland regions, several rivers, and exceptional wildlife; keep your eye out for monkeys, wild pigs, and the elusive jaguar. 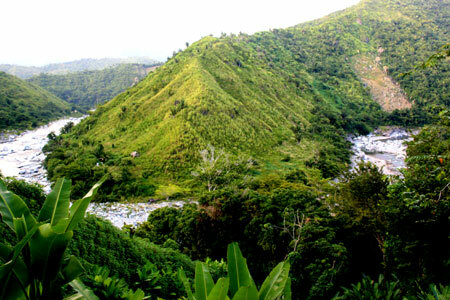 Although much of the park is inaccessible without a machete and some serious boots, Pico Bonito remains an exceptional destination for jungle treks, bird watching, and whitewater rafting. The area around it is also home to some great accommodations. 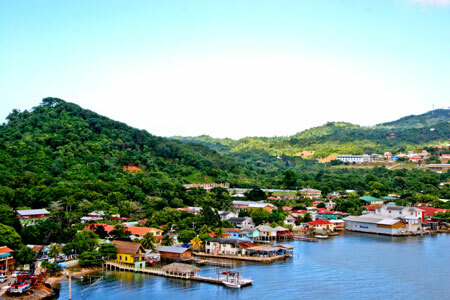 Roatan The Bay Islands are located off Honduras’s Caribbean coast, along the southern end of the second-largest coral reef Detailed Itinerary from Viaventure system in the world. Once a mecca for pirates, the now mellow isles (of which there are three–Roatán, Utila, and Guanaja, plus several small cayes) are surrounded by clear, turquoise waters that serve as home to a kaleidoscope of marine species, incredible coral formations, and the world’s largest congregation of whale sharks. Not surprisingly, the area attracts scuba divers and snorkelers from around the globe. 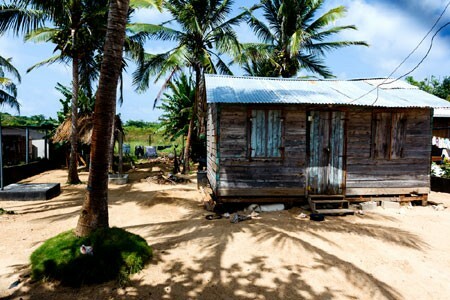 The islands themselves consist of white sand beaches, coconut palms, and quiet fishing villages, and are rich in Garífuna culture. Just a short flight from the mainland city of La Ceiba, Roatán is the largest and most popular island and has a handful of top-notch hotels and restaurants. 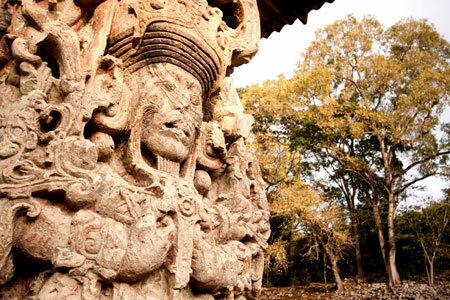 Today, you’ll travel to the Copan archaeological site for a privately guided, three-hour tour. Deemed a UNESCO World Heritage Site in 1980, and one of the ancient Maya’s most lavish cultural centers, Copan is well-known for its intricately carved stelae and incredible hieroglyphic stairway; you’ll also visit the on-site sculpture museum and two excavated tunnels under the ruins that provide insight into the early stages of Copan civilization. 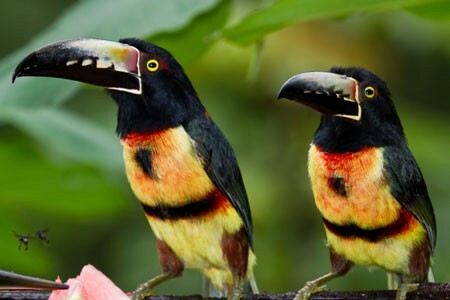 Afterwards, you’ll lunch in Copan Ruinas before heading to the Macaw Mountain Bird Park (located 15 minutes outside of town), a nine-acre (four-hectare) reserve that cares for rescued and endangered tropical birds like scarlet macaws and keel-billed toucans. 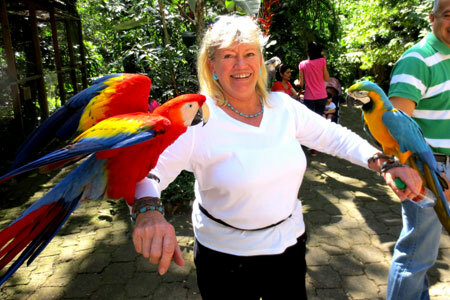 A guide from the reserve will talk about Macaw Mountain’s on-going projects and introduce you to a variety of bird species, some of which you’ll be able to interact with. Bring your bathing suit, as the reserve has a riverside swimming hole. 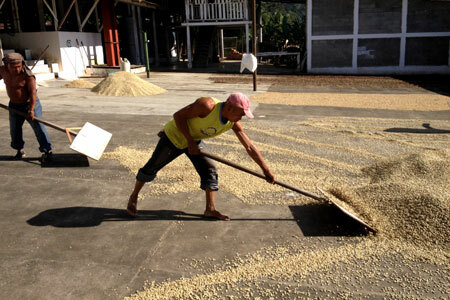 This morning, you’ll set out on a full-day excursion to the Finca El Cisne farm. 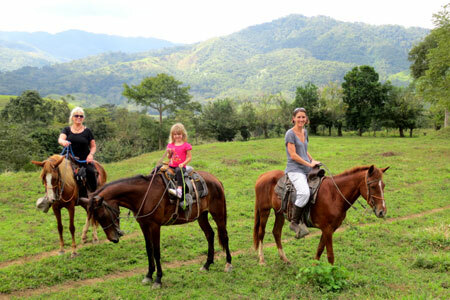 Carlo Castejón’s family owns the farm, and Carlos himself will take you on an easy horseback ride to explore the local land (home to tropical edibles like avocados, plantains, star fruit, and pineapples) and the beautiful scenery of the Copán Valley. A hearty farmhouse lunch (cooked by Carlos’s mother) allows you to taste a variety of regionally grown ingredients. In the afternoon, you will learn about the farm’s cardamom and shade-grown coffee plantations and about cattle ranching; the latter provides the farm with meat and dairy. 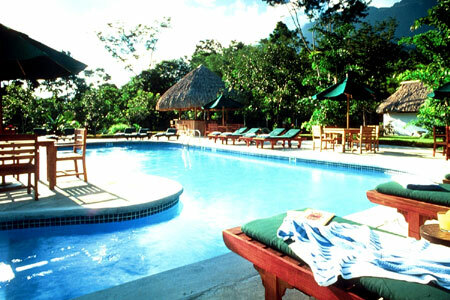 Upon your return to Copán, you?ll stop for a quick dip in the local hot springs. Named for two rivers that feed this estuarine mangrove forest wildlife refuge, the Cuero y Salado Wildlife Refuge is famous for its abundant wildlife and birding opportunities. Your trip into the refuge starts on a narrow gauge rail car that takes you to the river’s edge. From here motorized skiffs and canoes are available for guided tours through the complex of estuaries and mangrove forests where one can expect to see howler and white-faced monkeys, iguanas, alligators, dozens of species of birds, and -with a little luck- manatees. After the boat tour, wander down to the white sand beach where the rivers meet the sea for a swim and a fresh fruit snack. White Water Rafting Rio Cangrejal (Collective/Half day) Guests transfer from their hotel to the rafting put-in point. In the welcome shade of the Lodge we begin our ‘pre-rafting’ preparations. Following a short climb down into the giant riverbed of the Rio Cangrejal (river of crabs) we make first contact with the river. By floating through a friendly rapid we warm up for the following: excellent class III-IV rapids, some steep drops, some long wave-trains. During the trip we stop several times to enjoy a 5 meter cliff jump straight into the current, friendly rapids to float through and a 100m rock gorge we can swim through. If it rains and the river is full (it may rise up to 10m in one night!) – then we would paddle another part of the river – but we will certainly take you on a great, fun day of rafting whatever the weather! Also on the trip we stop at the Pico Bonito National Park & leaving our rafts at the side of the river where a fresh jungle creek flows into the Cangrejal river, we follow that same creek, we hike up (approx 30 min.) into the park and take a shower under a 10m waterfall, dropping into a crystal clear deep pool. Pico Bonito Lodge Pico Bonito National Park, La Ceiba, Honduras Category – High Pico Bonito Lodge is set on the edge of the Pico Bonito National Park and with views up to the tropical mountain range where the highest point “Pico Bonito” from where the lodge takes its name, can be seen. 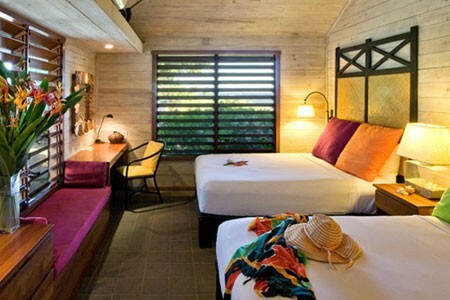 The individual cabana style rooms are set in beautiful tropical gardens and the lodge offers an excellent restaurant, pool and meeting room. 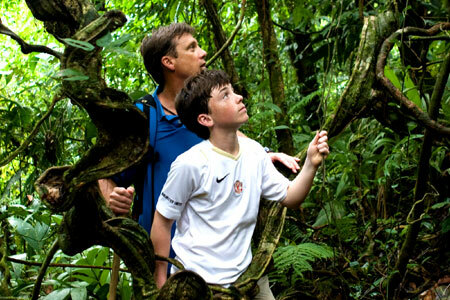 Guests can trek into the rainforest with or without finding waterfalls and swimming holes and there are bird watching towers for biding enthusiasts. Barefoot Caye is situated on the island of Roatan just 15mins from the International airport but in a tranquil and private area away from other developments or towns. The Accommodation is a small and personalized hotel with on-site owners/managers and stylish 1 and 2 bedroom villas complete with kitchens. There is a lovely pool area and small restaurant as well as a safe snorkel area and free snorkel equipment and kayaks. 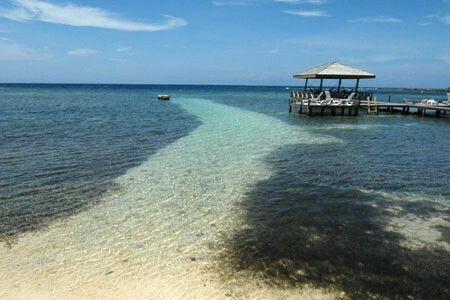 They also have an on-site Dive shop where you can organize diving and snorkel trips further afield.